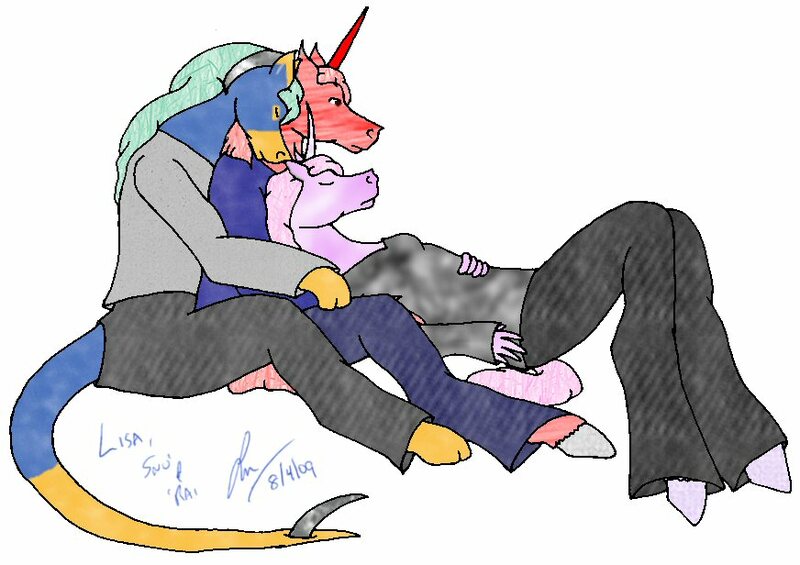 Cuddle v.1 -- [August 1, 2009] I had posted a sketch meme in my LiveJournal and Banrai had requested a pic of herself, me, and Snowhawk cuddling. I did this sketch first. Cuddle v.2 -- [August 4, 2009] The above image redrawn and colored.